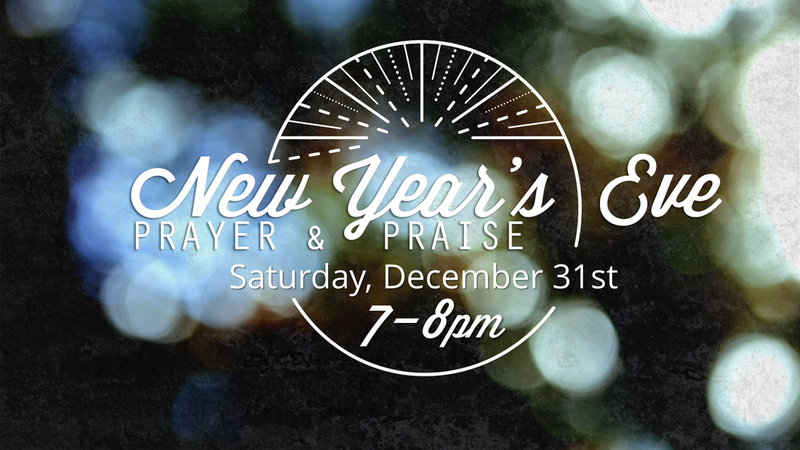 Calvary Chapel Eastside will be hosting a New Year's Eve Prayer & Praise on Saturday, December 31st from 7-8pm in the Chapel. Come for a brief time of worship and prayer with the pastors as we ring in the coming year together! Our Consecration Service will instead be held on January 8th at 10am.